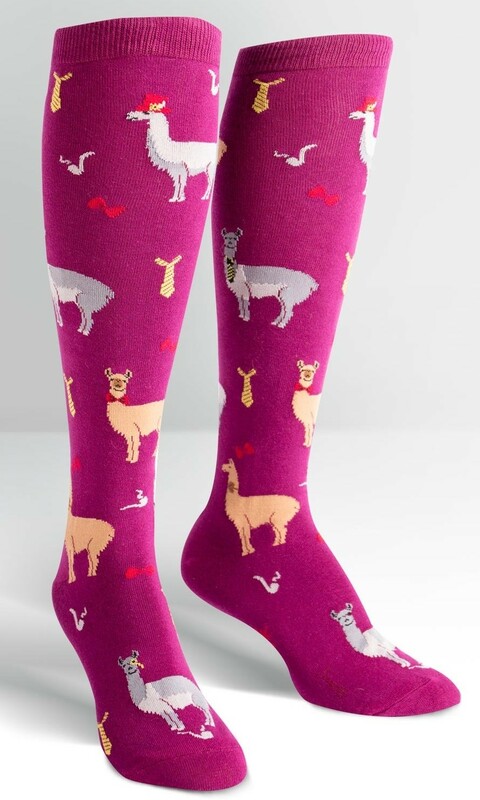 Everyone knows llamas are drama — just look at those accessories! 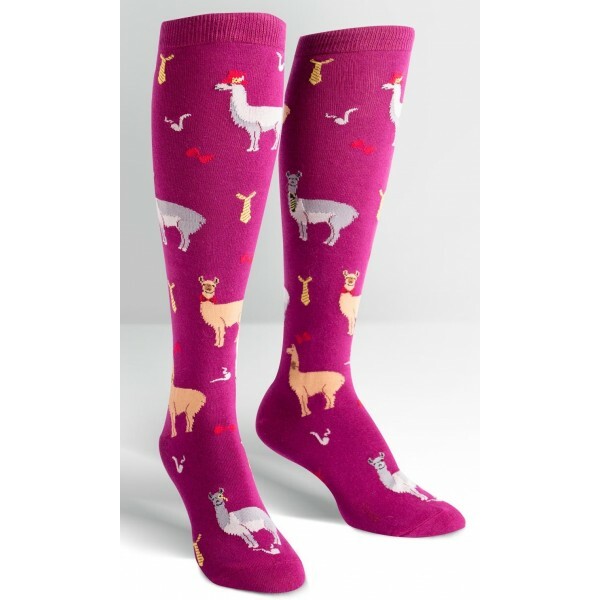 Enjoy these friendly llamas and all their accessories with this pair of knee socks from Sock It To Me. Last minute neck tie needs? Impromptu pipe passion? These socks will have you covered! These 57% cotton, 41% Polyster, 2% spandex socks come in one size which fits most women's shoe sizes 5 - 10. For more clothing for Mighty Girls of all ages — including unique and colorful socks — visit our Clothing Collection.